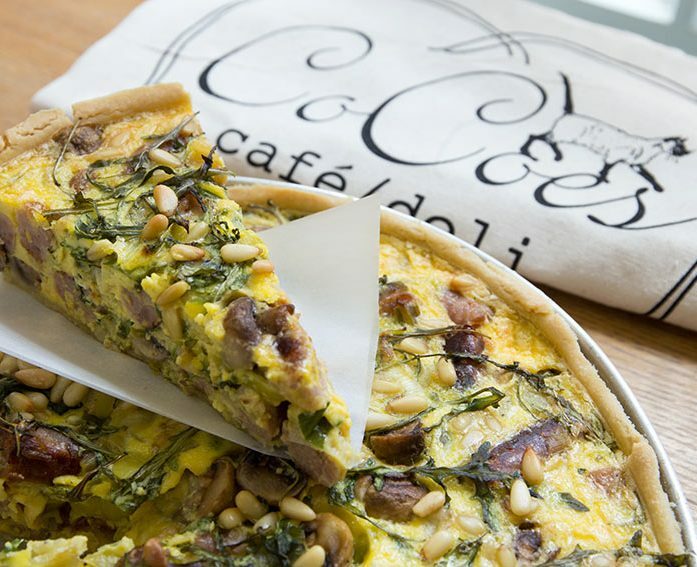 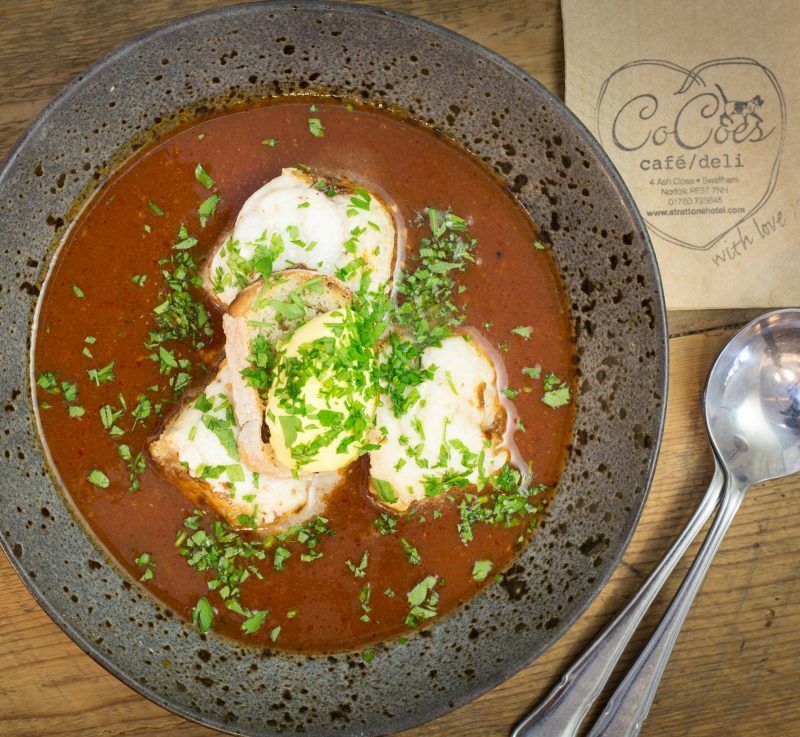 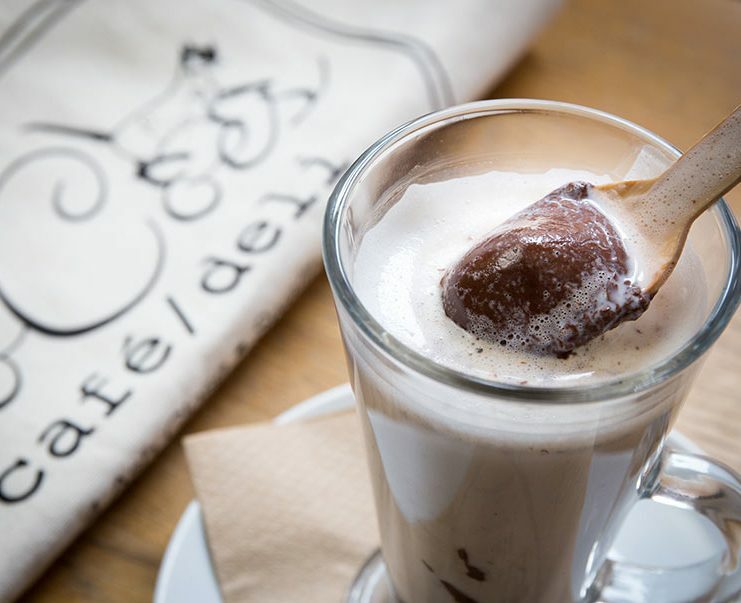 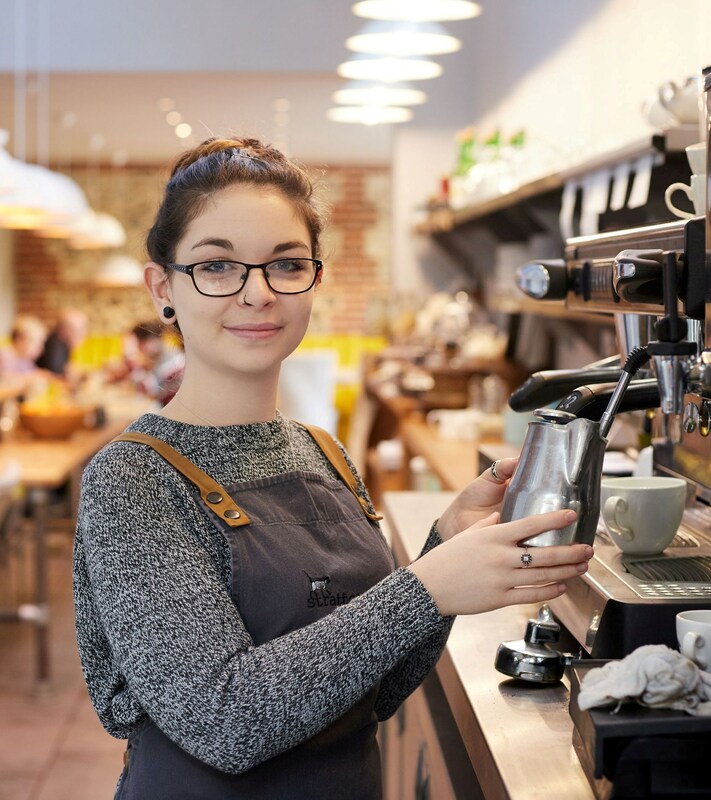 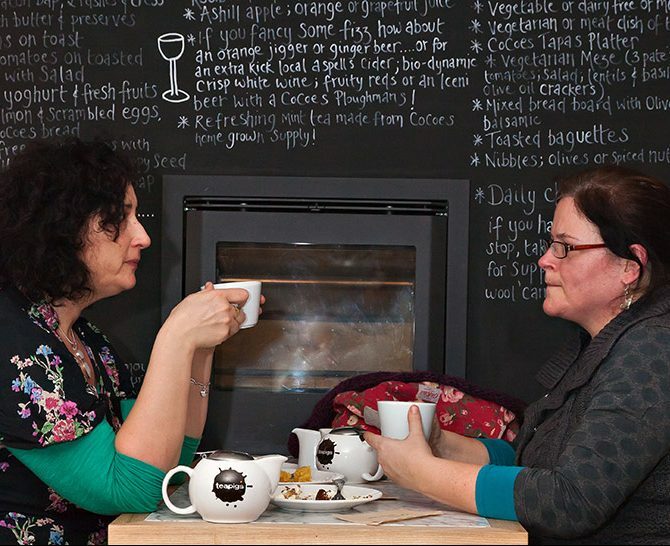 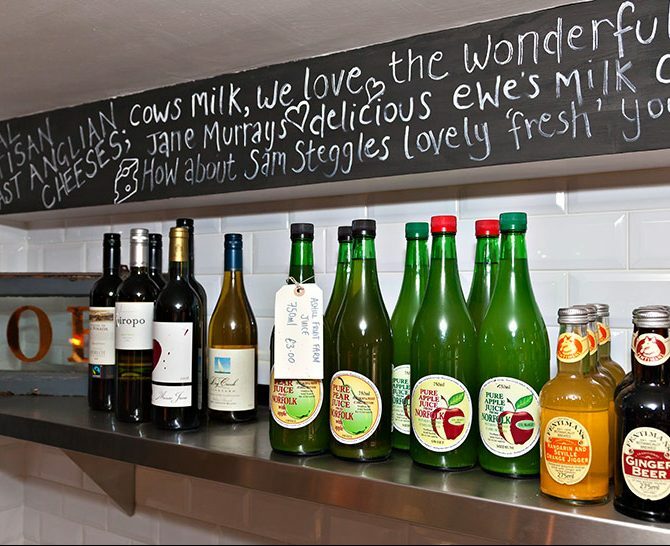 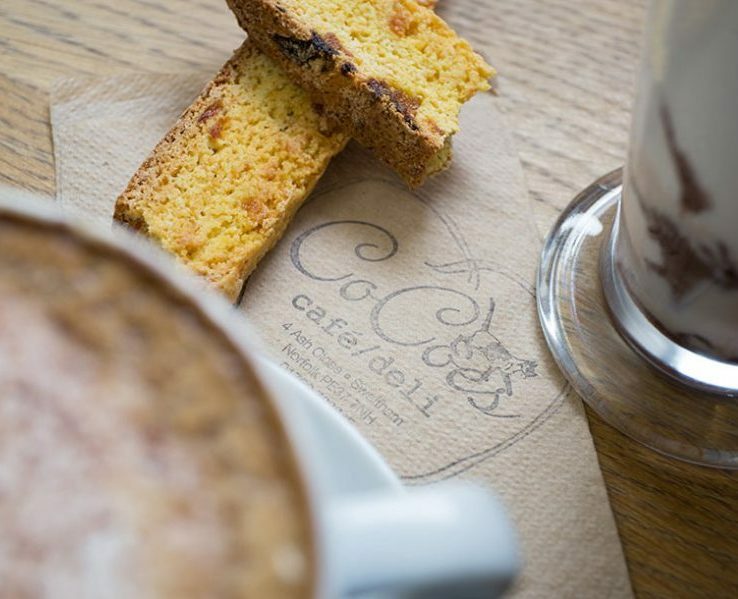 CoCoes café deli at Strattons is open throughout the day time for casual catch ups, informal business lunches, family time, a quick cuppa or an afternoon tipple. 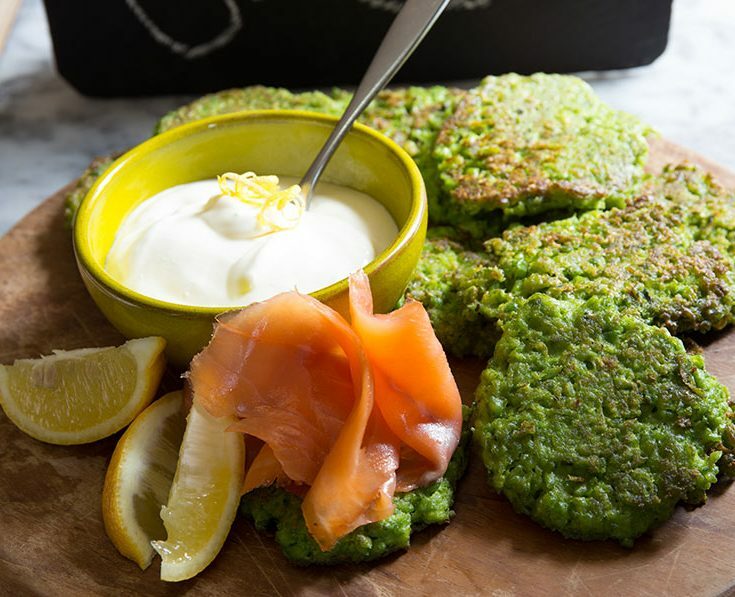 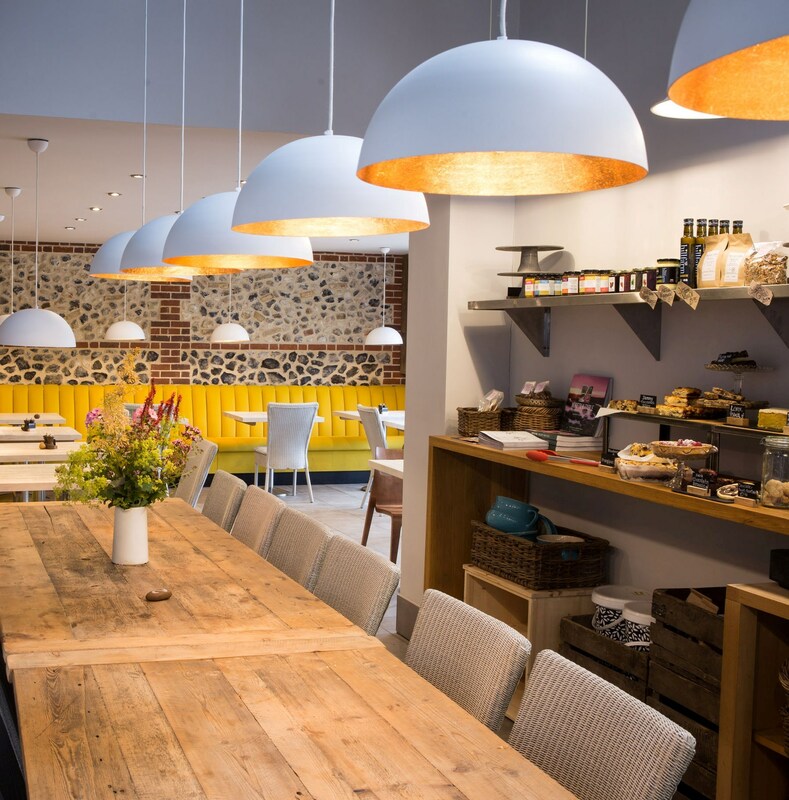 There is a daily changing blackboard featuring dishes such as Norfolk fish cakes with fennel slaw or delicious vegetarian or meaty quiches, mezes, tapas or aubergine parmigiana. 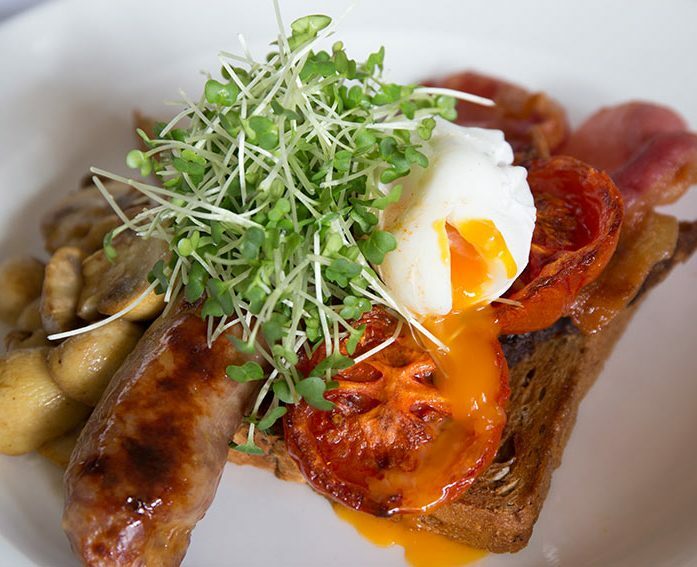 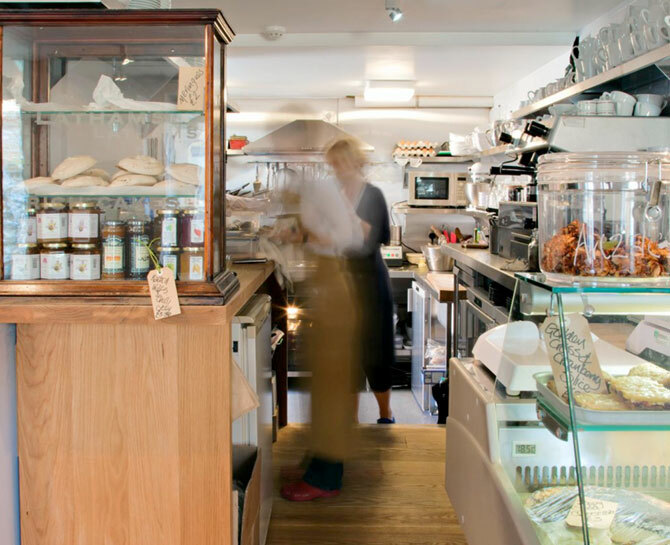 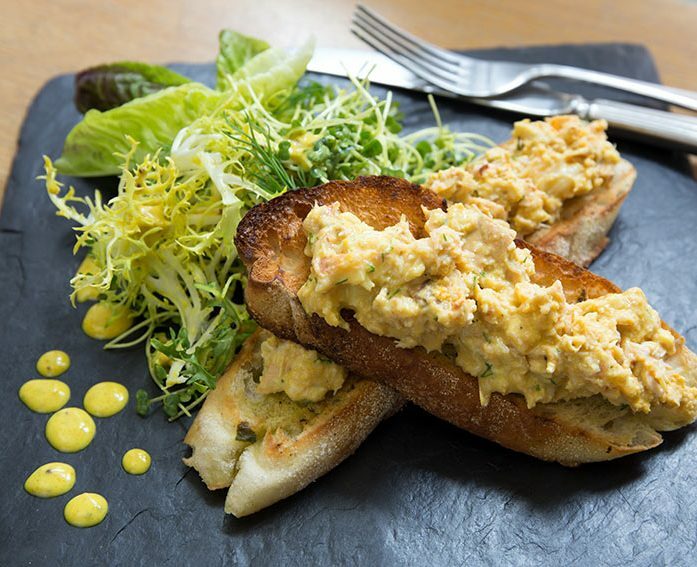 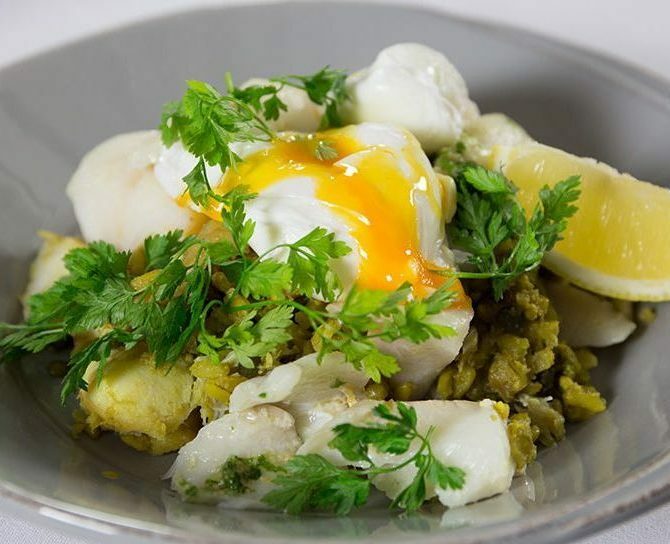 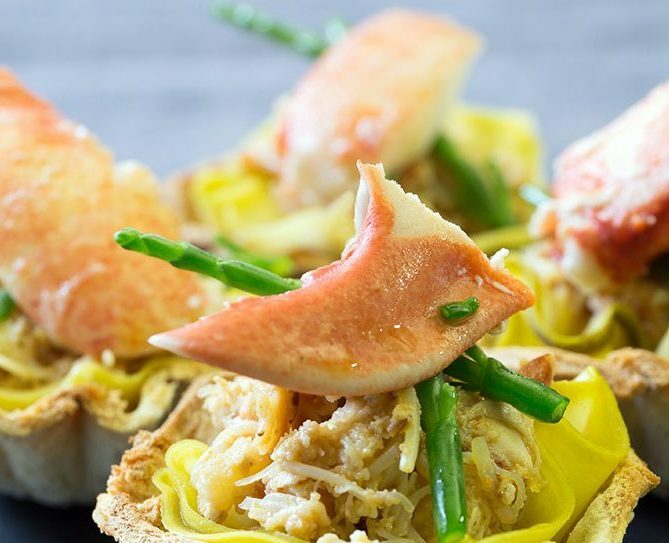 Treat yourself to an all day breakfast or kedgeree with soft poached eggs or go for mushroom pate with olive oil crackers, mackerel pate with crusty bread, toasted baguettes, veggie or rare breed sausage rolls. 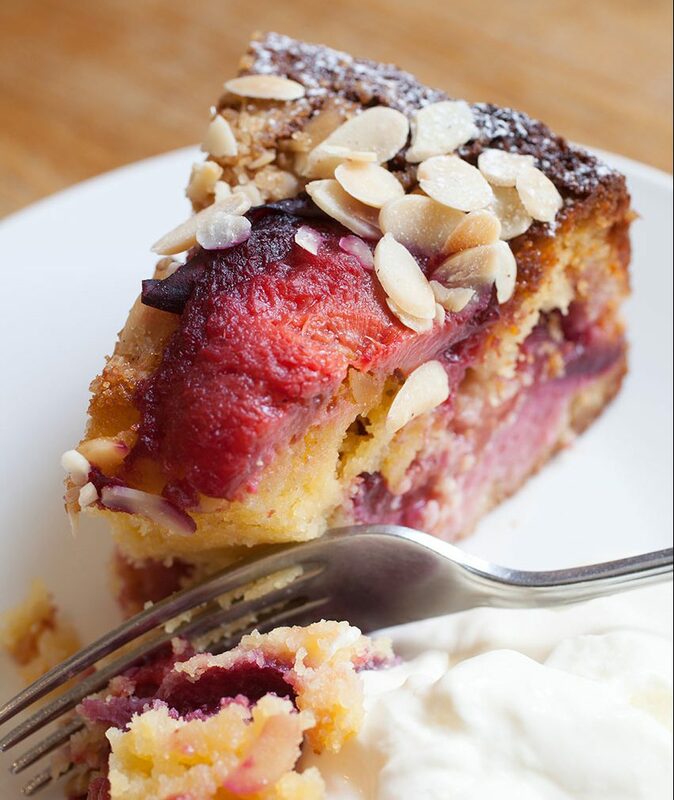 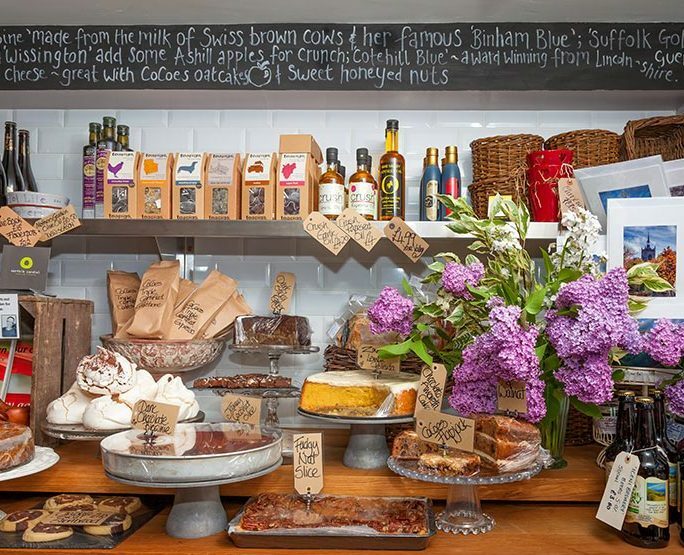 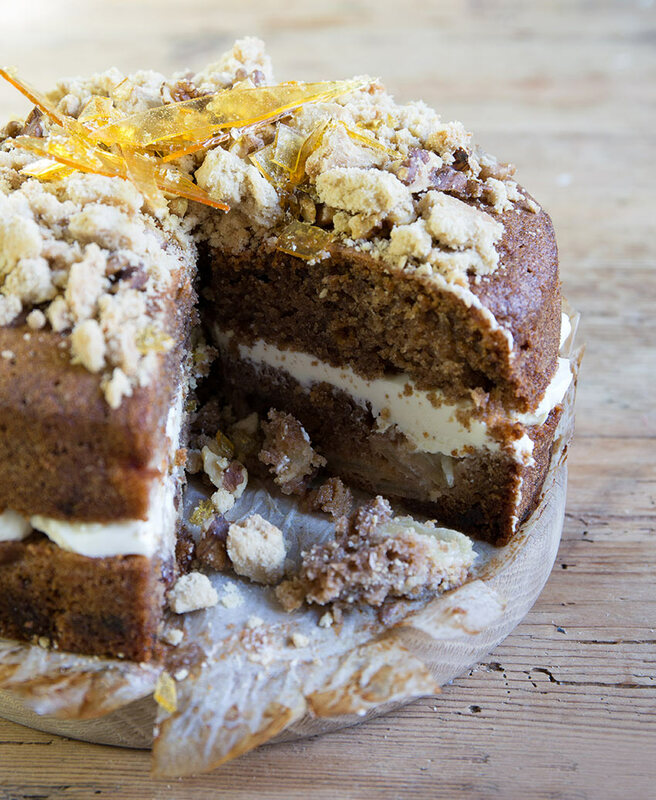 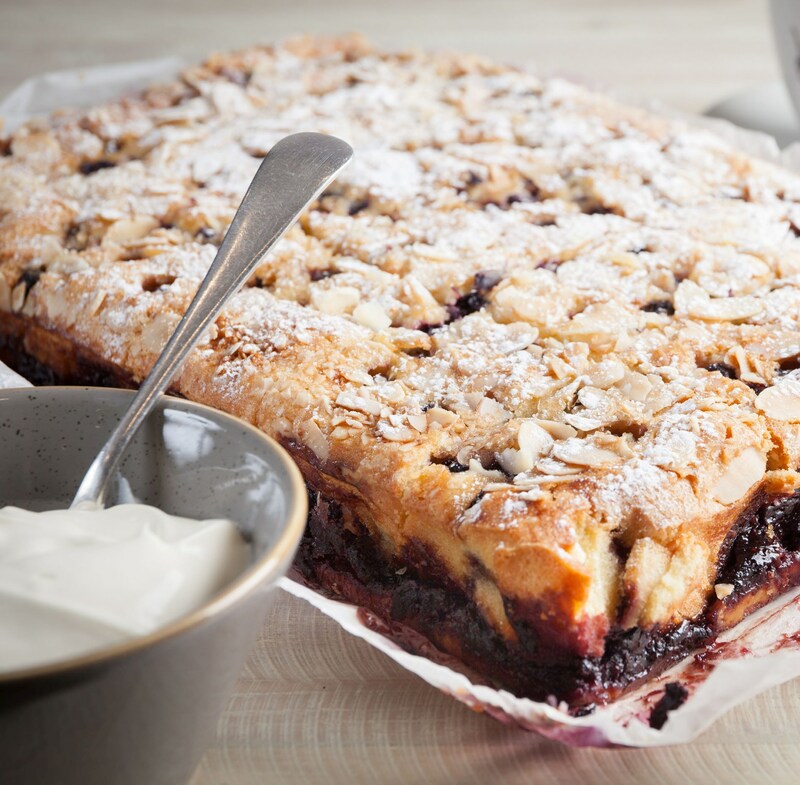 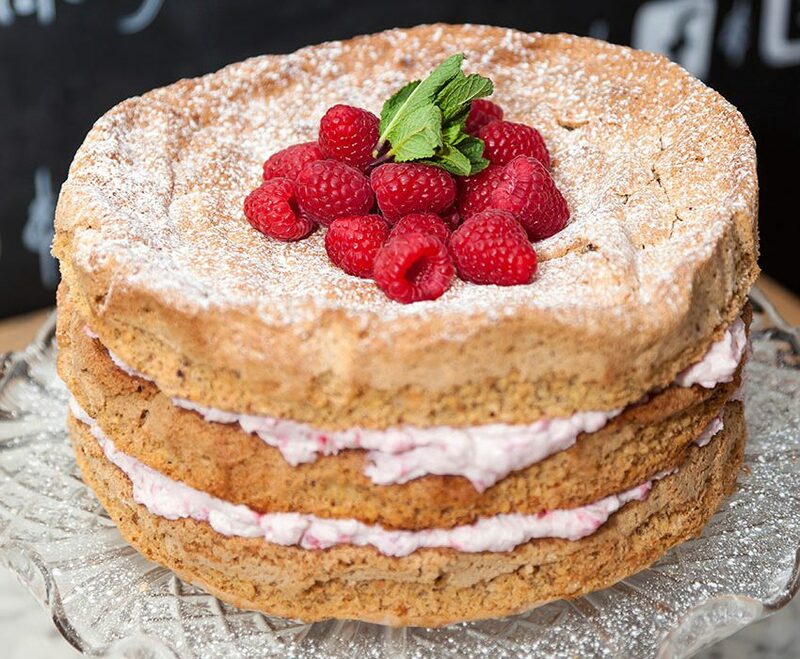 Enjoy a large selection of homemade cakes and biscuits such as lemon polenta, rosewater and raspberry meringues, sticky ginger or fudgy nut slice. 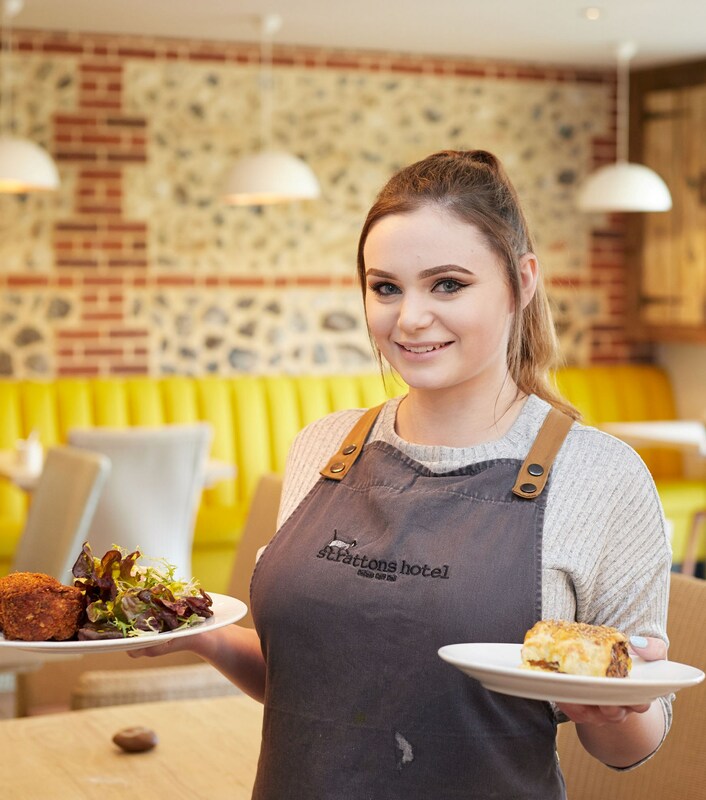 Everything is made by our team of chefs on site and there is always gluten free, vegan or diabetic choices. 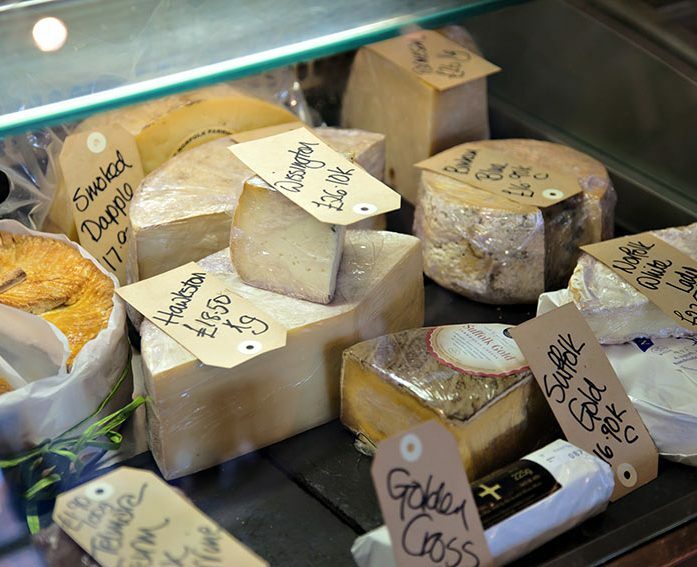 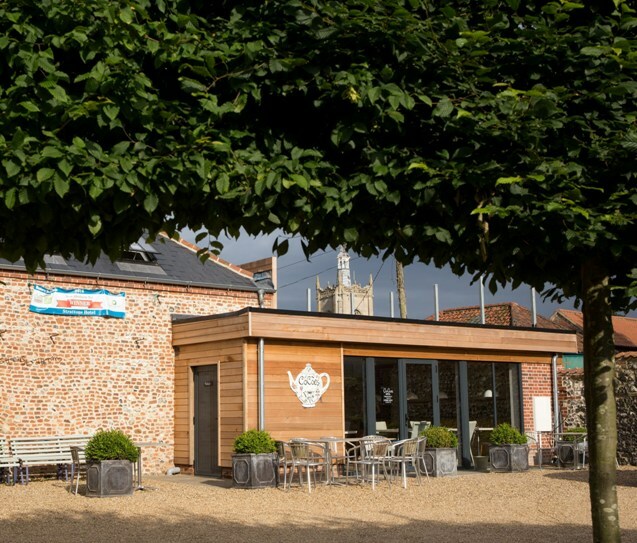 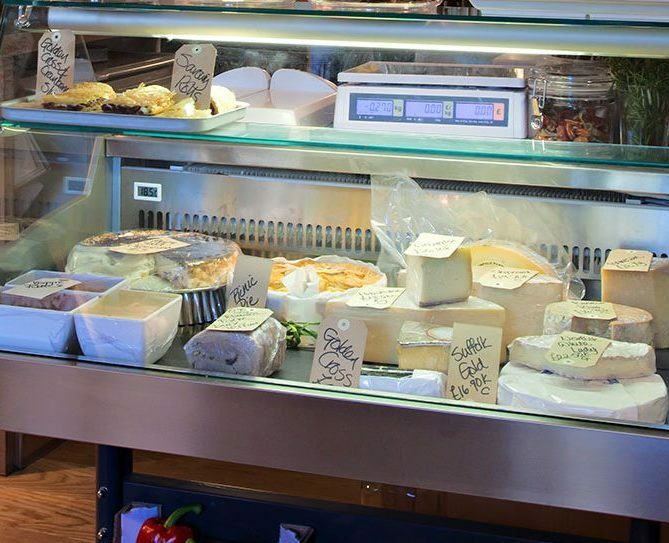 Take home freshly baked bread, organic and bio-dynamic wines, scrummy homemade cakes, Norfolk cheeses, homemade sausage rolls and savoury rolls, local beers, ales and juices. 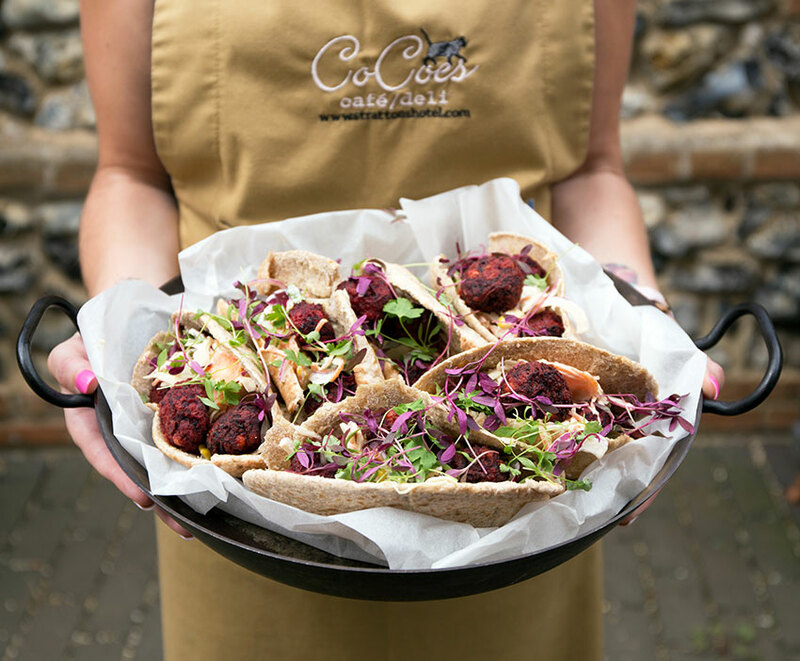 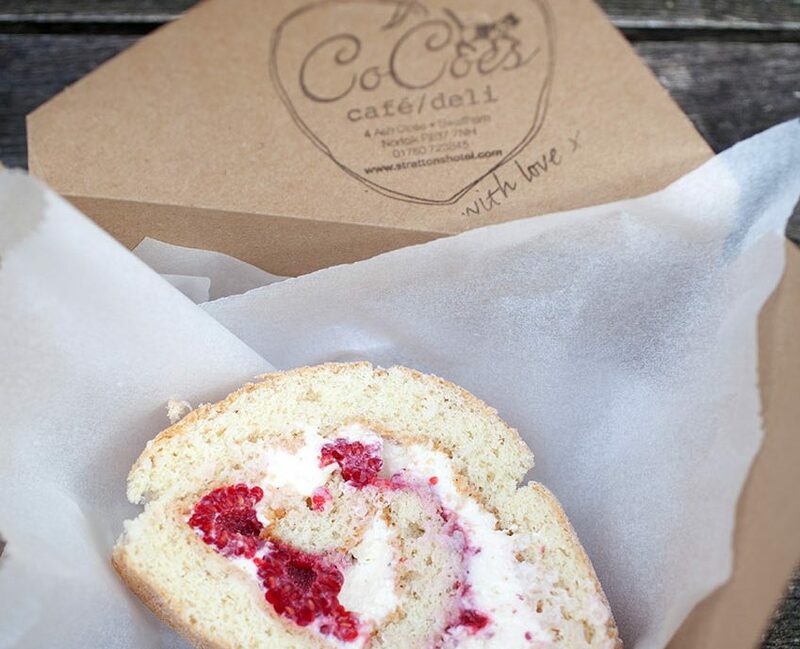 CoCoes also offers outside catering for birthdays; Christenings; fare-wall parties; weddings; conferences; meetings; whatever your occasion speak to Manager Maggie. 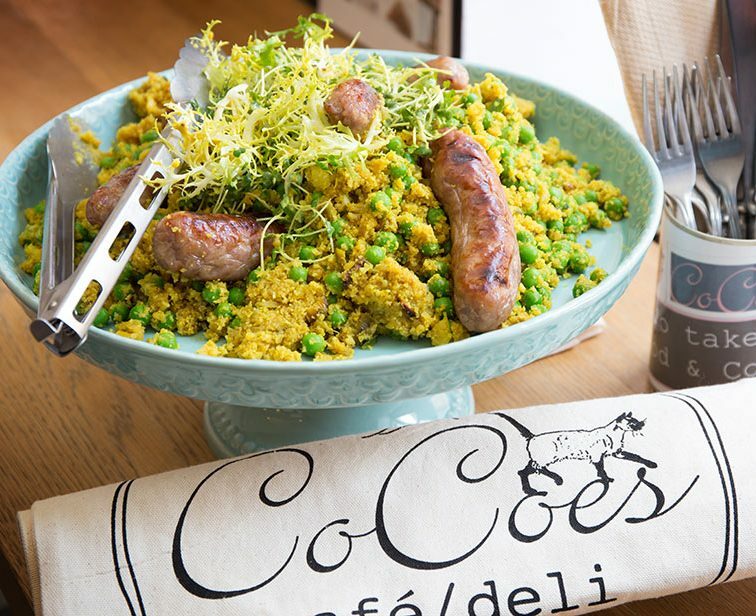 CoCoes is a walk in venue unable to take table reservations in advance due to its size and unlimited table time. 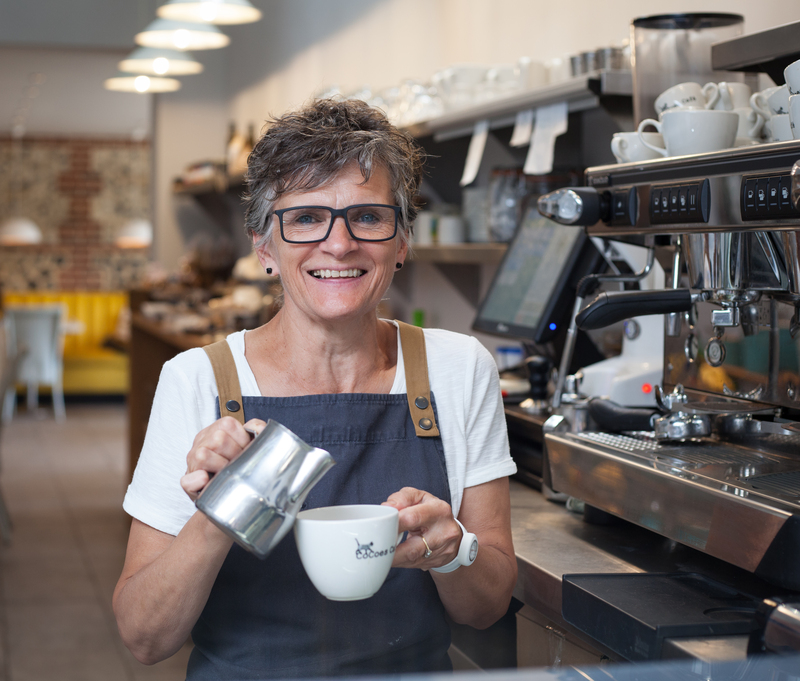 Maggie started her career in the clothing industry before joining Strattons in the early days in 1995 where she worked alongside owner Vanessa Scott in the hotel restaurant. 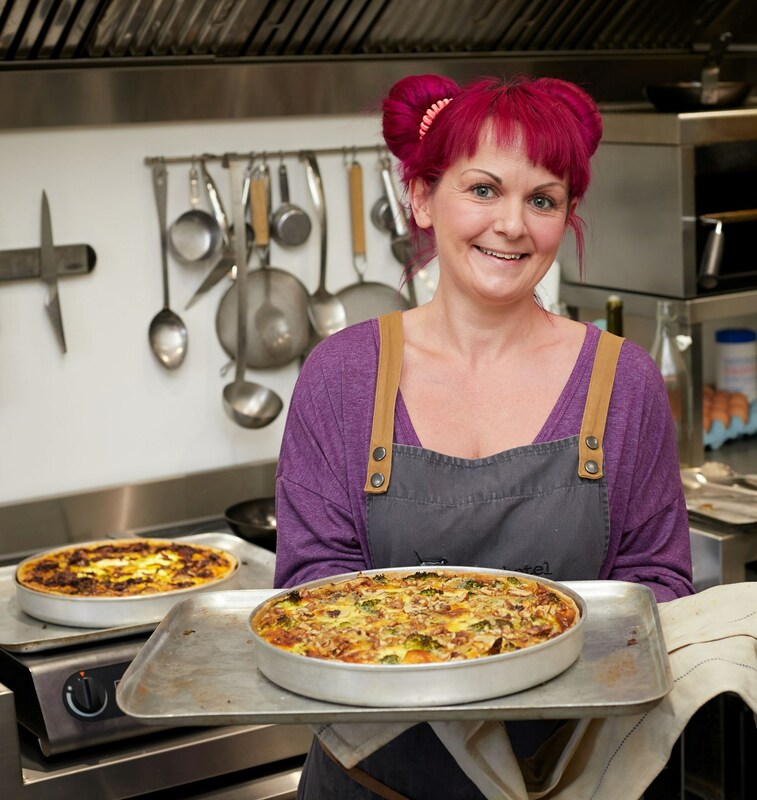 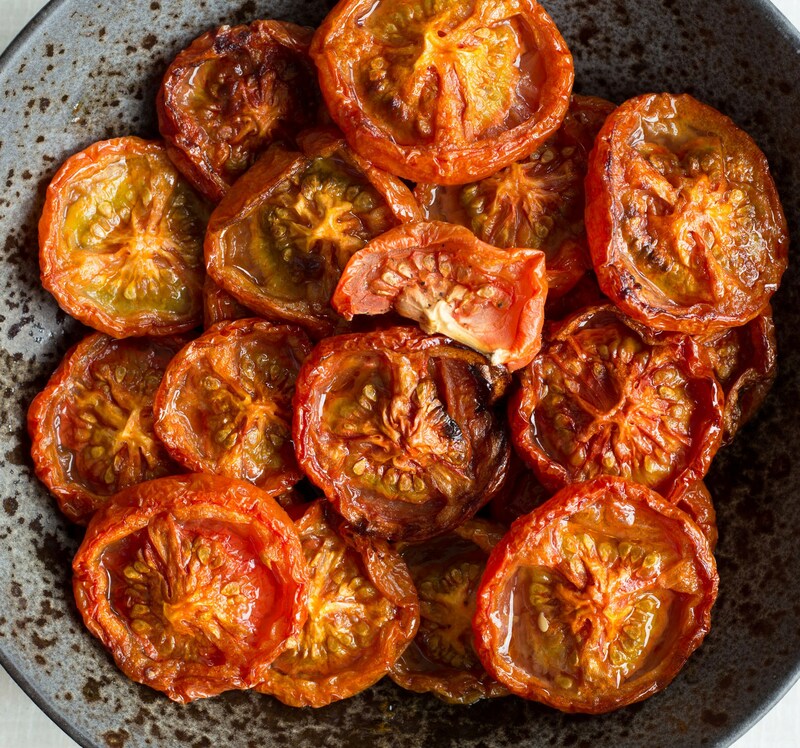 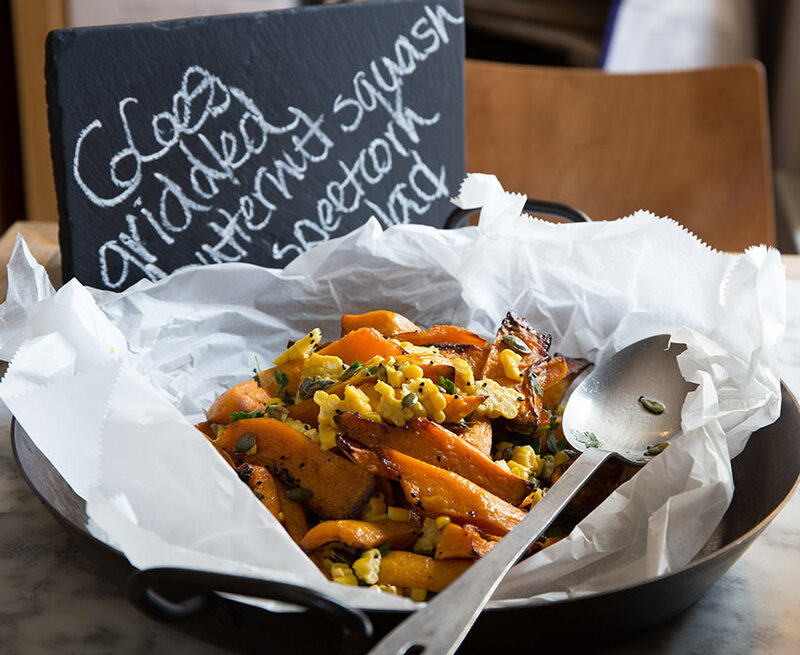 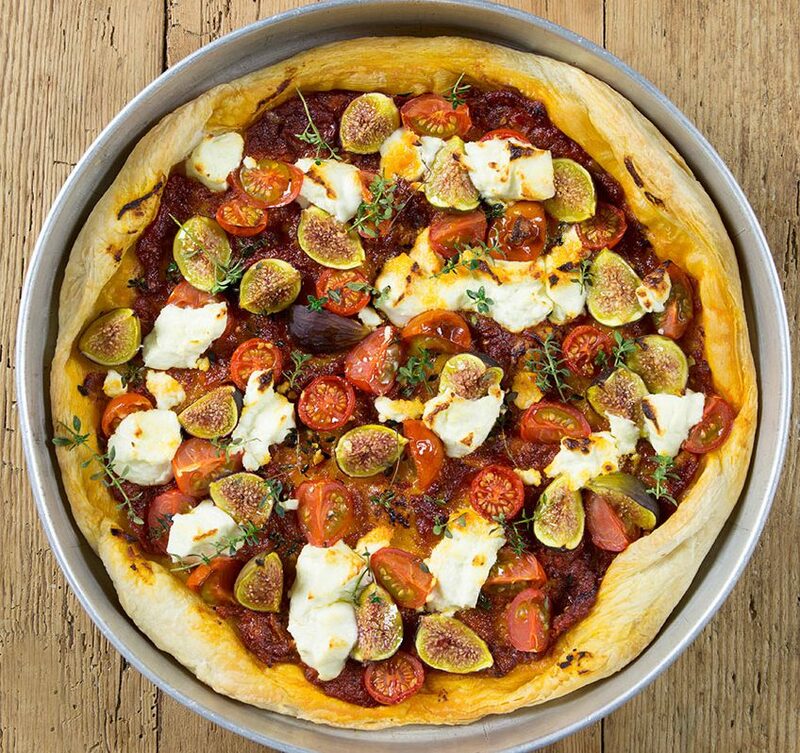 Having cooked daily for her family, Maggie, like Vanessa is self taught, taking inspiration from their mothers and grandmothers as well as chefs such as Yotam Ottolenghi. 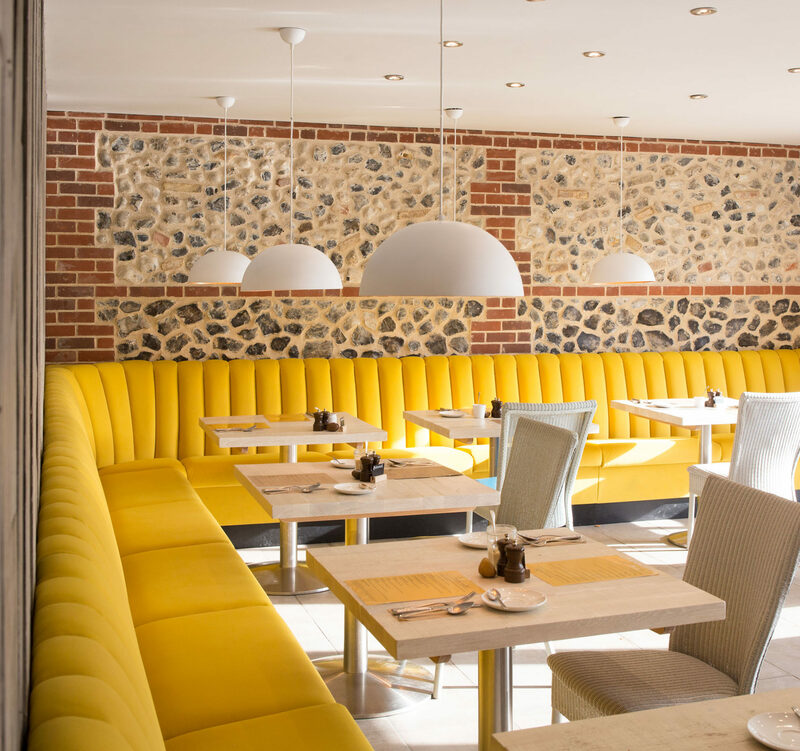 During her career at Strattons Maggie graduated from Norwich Art school and you will see examples of Maggie’s textiles throughout the hotel. 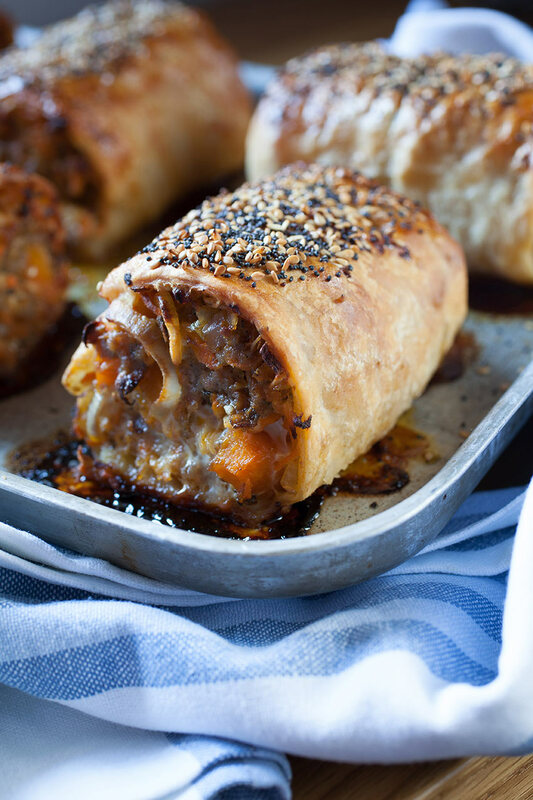 Maggie makes a large selection of cakes and delicious daily specials such as the famous Brecks sausage rolls loved by comedian Al Murray! 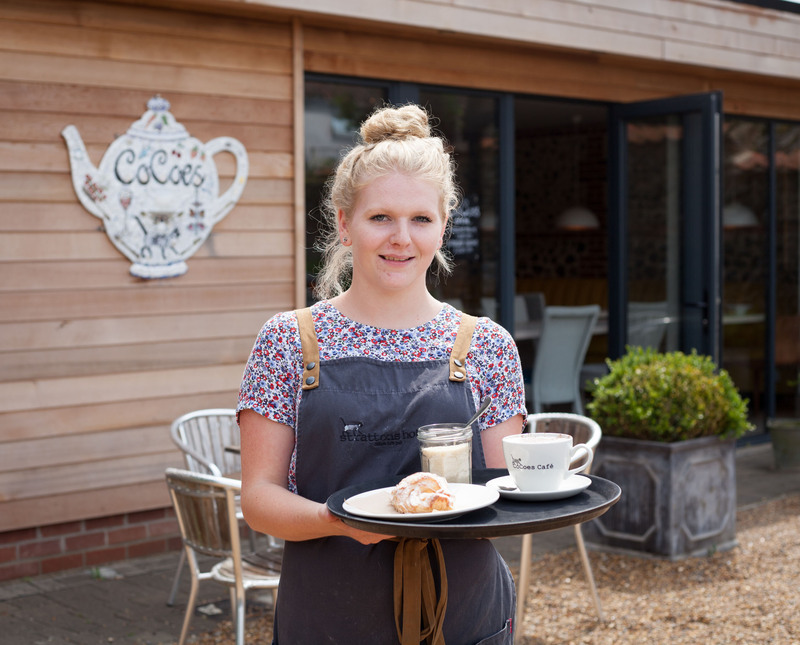 Maggie loves travel and photography, you might spot her camping in her VW!